Disney•Pixar’s Incredibles 2 film is due out on June 15 and in anticipation Alaska Airlines unveiled a special-edition plane featuring the “Supers” at the carrier’s hangar in Seattle. 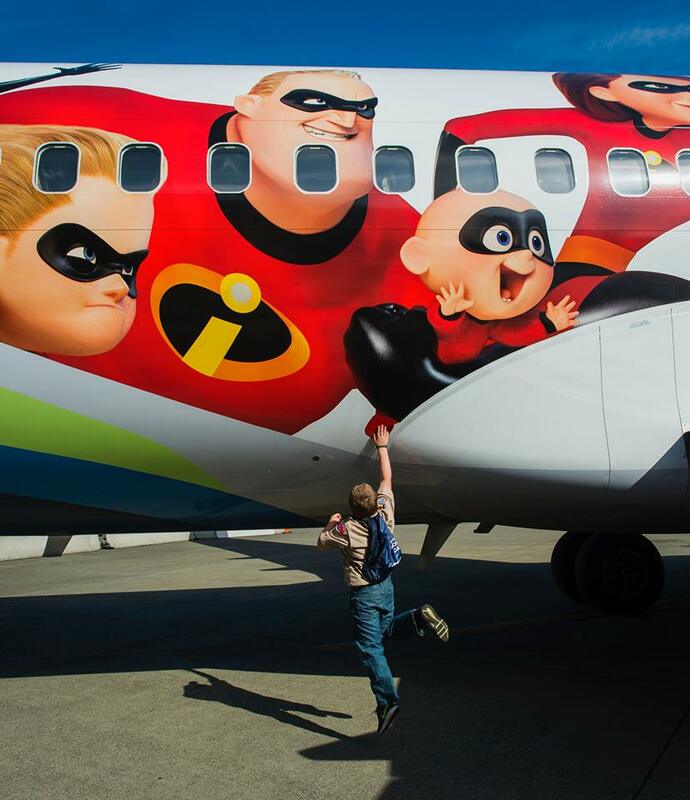 The 737-800 features the Parr family—Bob, Helen, Violet, Dash and baby Jack-Jack—across the fuselage, wearing their ‘Incredibles’ super outfits. An Incredibles 2 logo greets passengers as they board and an image of the raccoon from the film, Jack-Jack’s nemesis, will be visible to passengers seated over the wings. The plane – with tail number N519AS – will start flying throughout Alaska’s route network starting on Sunday.